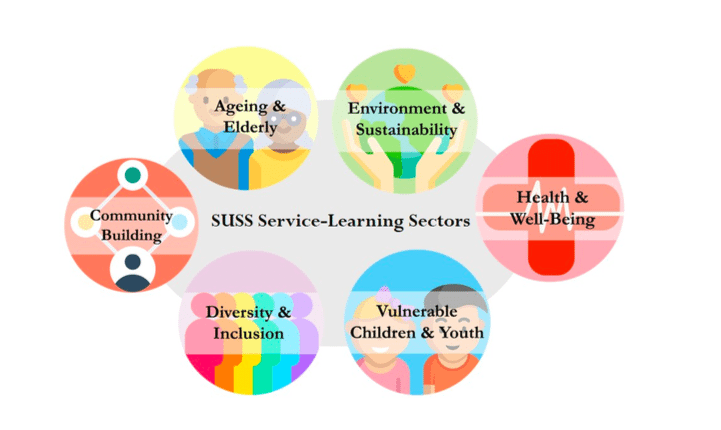 Singapore University of Social Sciences (SUSS) is Singapore’s sixth autonomous university the mission to create excellence in lifelong education to equip learners to serve the society. Home to more than 14,000 students, SUSS adopts a flexible and applied pedagogy with offering of more than 50 academic programmes in various disciplines. Eligible SUSS students enjoy government subsidies and access to government bursaries, tuition fee and study loans. SUSS commenced its degree programmes for full-time undergraduate students in 2014. We seek to develop application-oriented and self-directed learners who have a strong sense of social and civic responsibility. 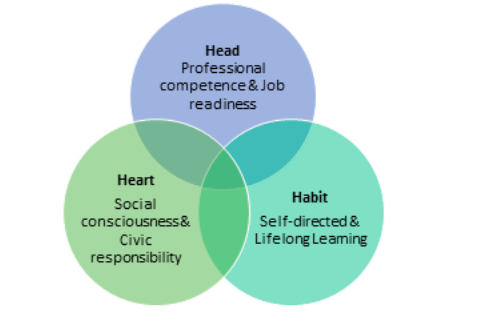 The Three H’s – Head, Heart and Habit – are the cornerstone of our educational philosophy. Anchoring the educational philosophy to develop graduates with strong social consciousness and civic responsibility, Service-Learning is conceived as an integral part of the University’s learning ecology and a pedagogy to empower students to further develop and act on their sense of social responsibility, grounded in real-world ideas and practices to contribute meaningfully to society. Service-Learning is a graduating requirement of SUSS full-time degree programmes. Students discuss, research and propose a local service-learning project in close collaboration with local community partners. The project should be a sustainable endeavour over a period of 2 years or more. Students can also explore global concerns related to their service-learning through an overseas experience (International Service-Learning). At SUSS, we emphasise student autonomy, empowering students to propose self-directed, student-driven Service-Learning initiatives. Students may propose a diverse range of project types, be it individual or group projects, direct or indirect service, project-based or on-going projects. As a guiding principle, we advise our students to prioritise the needs of the community in determining an appropriate project, and to balance the needs of the community with a commitment level that is also realistic, achievable and sustainable for the students.